FACT: Authority figures such as the coach, minister or teacher are rarely perpetrators of abuse. These people often become the focus of high profile cases, yet 95% of the time the abuser is a family member or family friend. Abusers take advantage of a child’s trust, and of their relationship with that child in order to carry out the sexual abuse. If the abuser is someone the child or family knows, trusts and cares about, the child may feel the need to protect the safety of the abuser because of that close relationship. Why do perpetrators target children they know? Abusers take advantage of the trust of the child — and their relationship with him or her — to carry out sexual abuse. If the child or family knows, trusts and cares about the abuser, the child may also feel the need to protect the well-being and safety of the abuser because of the close relationship. What do I do when a child discloses? 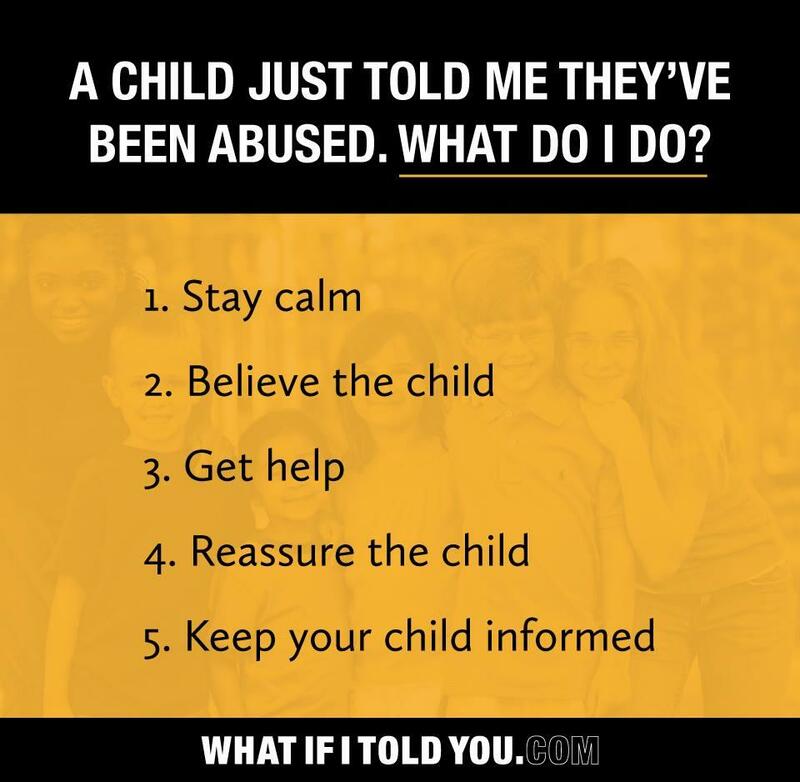 If a child discloses abuse, stay calm and follow these steps.